One of the characteristics of innovative and progressive production companies is the use of 3D printers in their day-to-day operations. It is no secret that 3D printing technologies reduce both production time, as well as costs of prototyping and even production, thus making the development of a product more efficient. 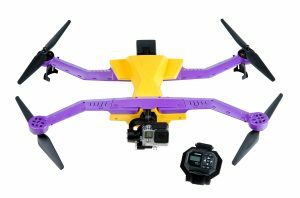 AirDog, the first and only Auto-Follow Camera Drone in the world, which recently became a world sensation, is no exception. Actually, AirDog came about as an accident. In 2012, its creator Edgars Rozentals, an avid kiteboarder and skateboarder, keen on remote controlled helicopters and other devices, did not suspect that a few years later he would release the first auto-following drone, which would become a sensation all over the world. 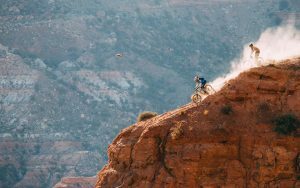 The idea about an automatically following drone that could film the athlete without a remote control occurred to a friend, a local extreme sports legend. The concept of AirDog seemed exciting from the very start, but it turned out that technically the task was much more difficult than expected. It took quite a while until the almost completed product debuted in a Kickstarter campaign, in which AirDog raised 1.3 million in an unbelievably short period of time. Afterwards, rapid production and exports around the world were launched. -Creator of AirDog Edgars Rozentals. Over the last three years, AirDog’s needs concerning 3D printing have grown together with the production development and a need has arisen to use other technologies, like SLS (Selective Laser Sintering) in the forming of the drones’ frame, but the Mass Portal printer is still used for printing small and simple parts, for example, camera stabilizer prototypes. 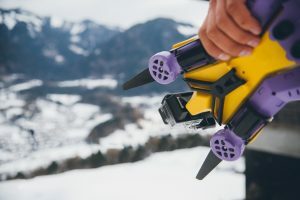 One of the main advantages of printing 3D prototypes for drones is the lightness of the materials used, which allows for an easy take-off and quick manoeuvres that would not be possible with heavier parts. The short waiting time that allows receiving the drawn parts printed within a few hours or days and the low costs are reasons to choose 3D printing when building drones. Unlike other flying drones that require manual control, AirDog does not need human assistance, which makes it unique. 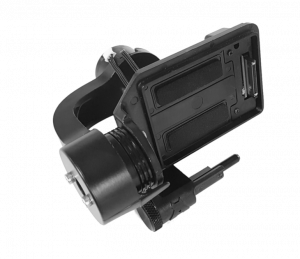 It is guided by various sensors that allow the drone to precisely determine the necessary position – height, angle, distance and other parameters in relation to the person being filmed, regardless of the sport it is being used in. AirDog also allows its user to select the activity to be filmed – currently AirDog has been adapted for MTB, wakeboarding, surfing, windsurfing and backcountry. In the coming months, the second AirDog model will be released, which will also be adapted for kiteboarding, water skiing, motocross and snowboarding parks and will be able to adjust to the quick movements and manoeuvres of the athlete even better. The drone is linked with AirLeash, which is attached to the athlete’s hand and is focusing on the activity itself, reading all the necessary data form the person for maximum precision. Currently AirDog is being exported to various countries around the world and its main users are representatives of extreme sports, unified by thirst for adventure and new discoveries. 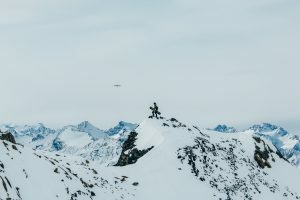 Rozentals predicts that in the future, AirDog will be used not only for private needs, but also for analysis of training processes and shooting movies, the filming of which will be unimaginable without such drones in the near future. Though the drone industry is developing rapidly, Rozentals does not believe that anyone will be able to create a drone that is an equal to the AirDog in the next few years, due to the complexity of the technology, which the creators of AirDog spent several years developing and testing.